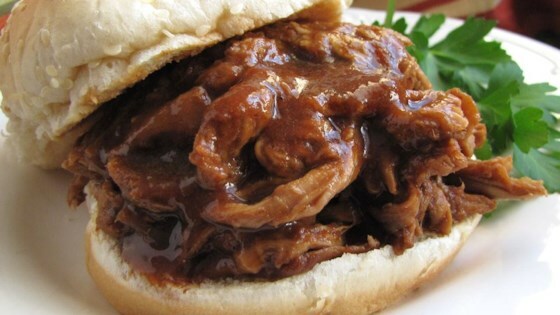 "Pork simmered in root beer makes all the difference. Topped with your favorite BBQ sauce, it's sure to bring rave reviews." I didn't think it was anything special. Followed the recipe exactly and while it wasn't disgusting, I've had much better.